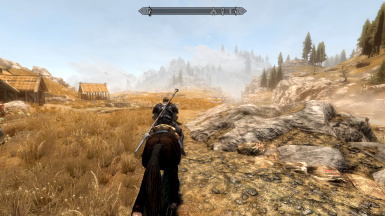 Tiny mod that changes the position of the 3rd person camera while riding a horse. All versions are now an esl flagged esp. 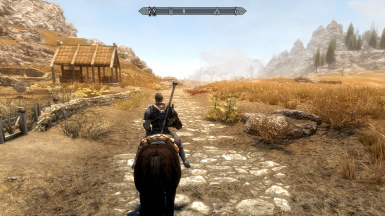 I've always disliked the default position of the camera while riding a horse, it's too far away and centred for my liking so I changed it, it's now much closer and slightly offset to the right, think over the shoulder. The camera for mounted combat has been left alone. Someone: Is this compatible with X? Someone: Will you backport this to Oldrim? Me: Nope but feel free to do it yourself, this mod is just a couple of value edits to a single record. Someone: I hate the change! Me: That's not a question, please change it to your liking if you want, again it couldn't be easier with SSEEdit, this is just how I like it myself. Install manually or using a mod manager, being a single record change I made it an esl so it won't count towards your plugin limit.